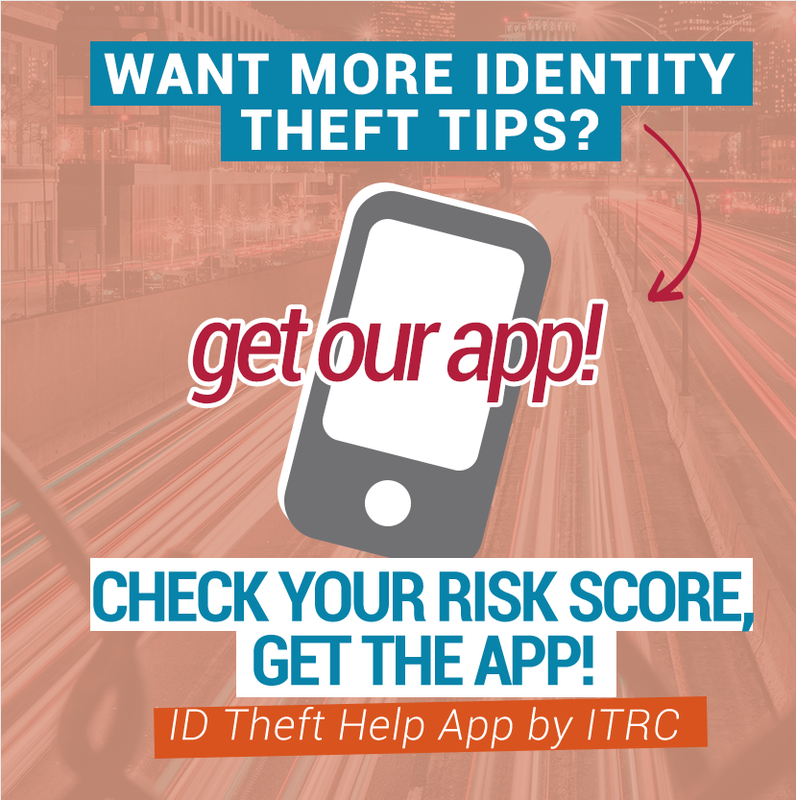 The ITRC is a non-profit organization established to support victims of identity theft in resolving their cases, and to broaden public education and awareness in the understanding of identity theft, data breaches, cyber security, scams/fraud and privacy issues. The ITRC conducts training and presentations on best practices and risk reduction for both businesses and consumers. The Victim Assistance Call Center provides toll-free, no-cost case mitigation and consumer education to approximately 10,000 victims and consumers annually. ITRC maintains a multi-year data breach report extending back to 2005. The ITRC Breach Report is published weekly and supplemental reports are readily available. Provide best-in-class victim assistance at no charge to consumers throughout the United States. Educate consumers, corporations, government agencies, and other organizations on best practices for fraud and identity theft detection, reduction and mitigation. Serve as a relevant national resource on consumer issues related to cybersecurity, data breaches, social media, fraud, scams and other issues. ITRC advisors represent more than 50 years of case resolution experience and are dedicated to providing world-class customer service, and protecting the victim’s, or consumer’s, privacy. The ITRC maintains and updates more than 1,000 written documents, articles and videos in order to provide victim assistance and education on identity theft and financial fraud. In addition, idtheftcenter.org provides a large number of links to a wide variety of resources. The ITRC conducts research and surveys in collaboration with partners and sponsors resulting in white papers, fact sheets, and solutions to educate consumers and businesses. The ITRC fundamentally believes that both consumers and businesses are victims of identity theft and fraud. Prevention and reduction of identity theft will require education and cooperation between consumers, businesses, law enforcement agencies, and legislators. The ITRC believes that support and education of businesses has a strong positive impact on the restoration of victims’ lives, and the prevention of further identity theft. The ITRC has consciously avoided legal advocacy as a method of forwarding its mission. To view the ITRC Corporate Policies, click here. To view the ITRC Annual Impact Report, click here. To view the ITRC Form 990, click here.